A kitchen is one of the most important spaces in a home. With our product, we can help you transform it into something beautiful and unique. 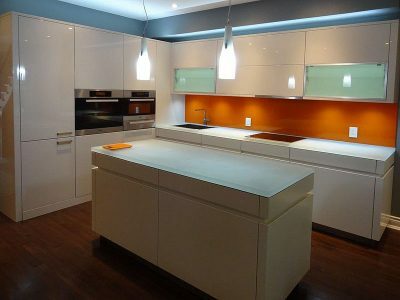 CBD Glass kitchen countertops are all custom made according to the client’s preferences. 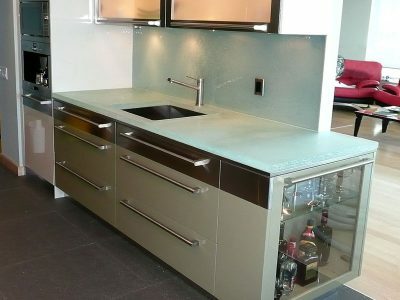 These countertops are made to fit your needs and your individual style. You can customize these by: thickness, type of glass, edge finishes, texture, or even color. Below the pictures, you will see many options that you can chose from when it comes to building your own custom kitchen countertop. There are two types of glass: Aqua Clear and Ultra Clear. 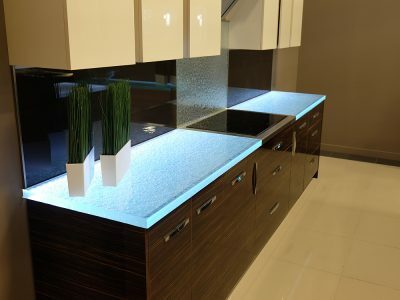 Depending on the look that you desire to achieve with your glass countertop, you can also use LED or RGB lights to add a more dramatic effect. The difference between LED and RGD lights is that LED is one color, cool-white; while RGB is multicolored. For more information on the LED and RGB lights please have a look at our blog, where both are explained in detail. 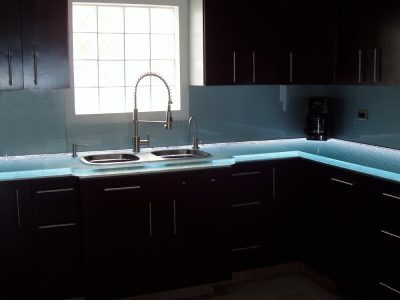 On the kitchen countertops, the lights are usually placed along the back wall. The light then shines through the glass, giving it an intriguing and elegant look. 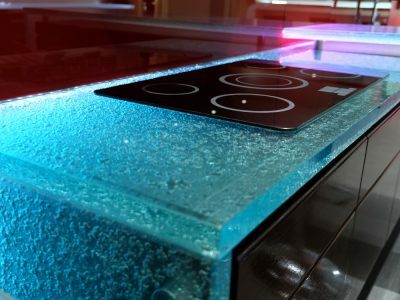 One of the greatest things about using glass for your countertop is the fact that it is non porous material. What is better than a kitchen countertop that is hygienic and easy to clean? 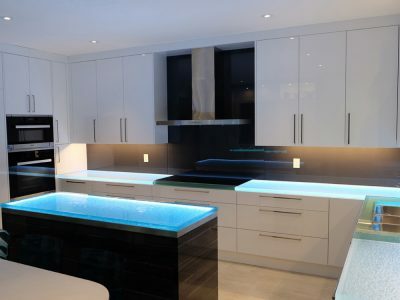 Glass kitchen countertops are a great way to refresh your kitchen if you are renovating your home. 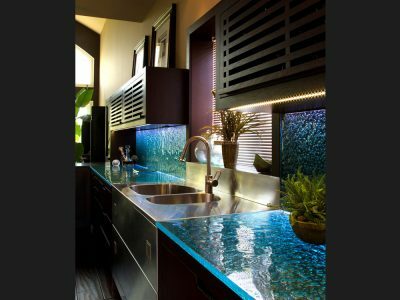 Using glass for your countertop material will give your kitchen an upgraded, elegant, and fresh look. 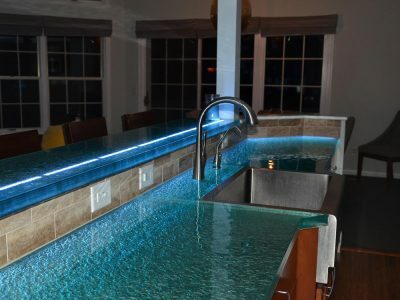 There are a lot of options to chose from to custom make your own glass countertop, to make sure it fits right into your design. Please take a look at some of our previous work in the pictures below.